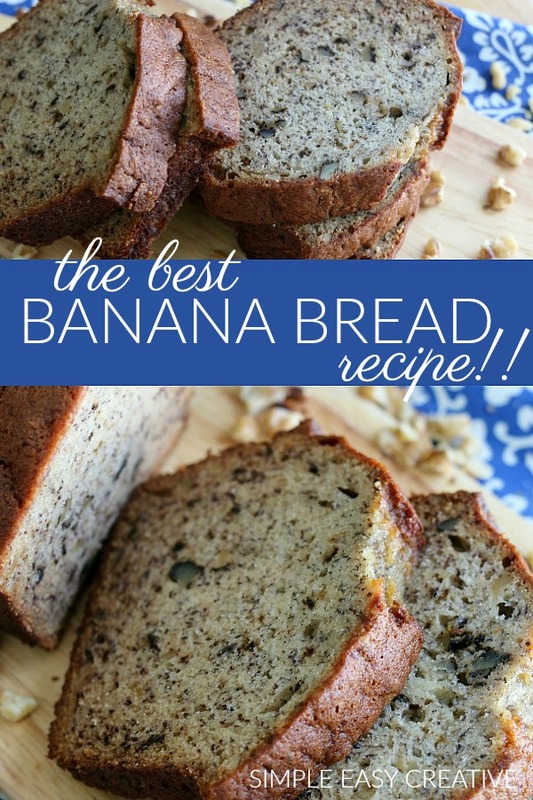 Hands down the best Banana Bread Recipe I have ever made. 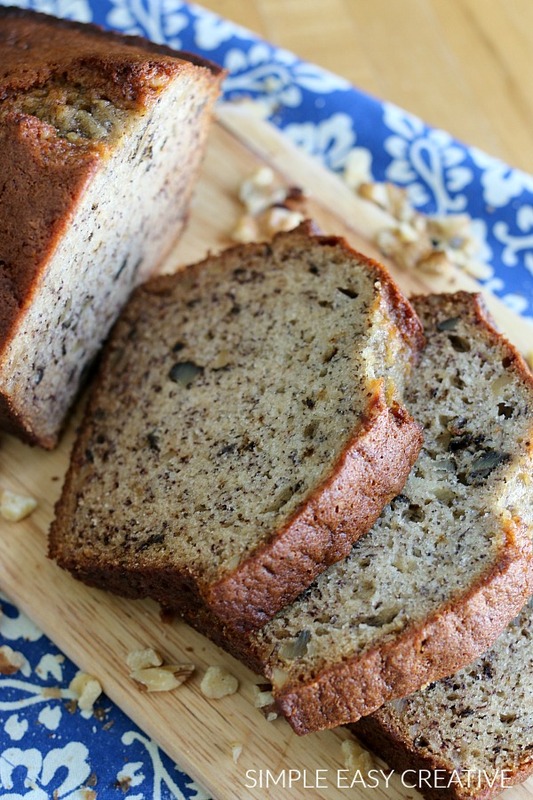 It’s moist and full of flavor, this is a classic recipe that you must try! 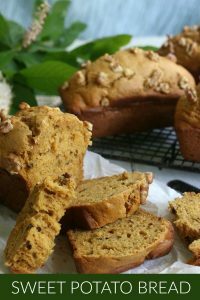 You can also add chocolate chips, walnuts, or eat it plain. 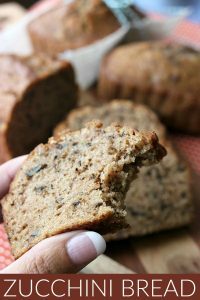 And it can easily be adapted into a Gluten Free Banana Bread Recipe. In my home, bananas never go to waste. We prefer to eat them when they are bright yellow with a little bit of green and barely any brown as a snack or with some peanut butter. But when they start to go brown, they get diced up into cereal, especially oatmeal. If they go really brown, well that means it is time to bake some banana bread! Baker’s Tip #2: This recipe is quick, easy and can be mixed by hand. 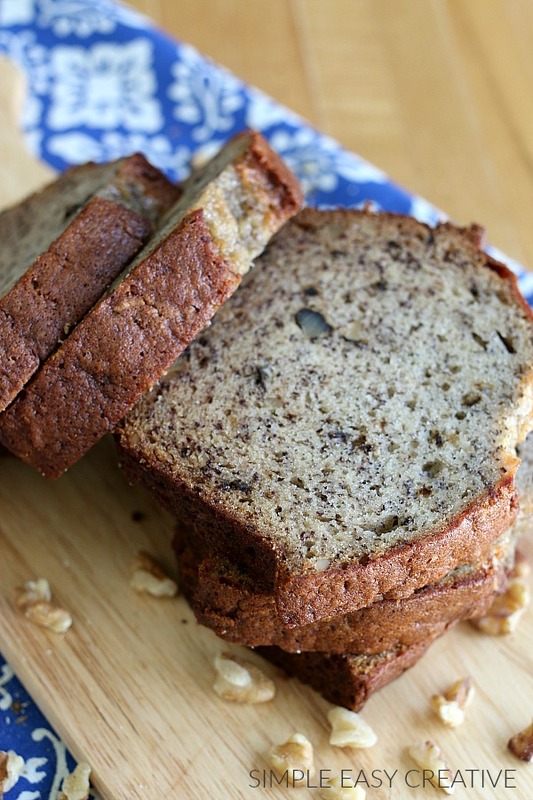 Baker’s Tip #3: You can bake the banana bread is a 9×5 loaf pan, or make it into mini loaves. Baker’s Tip #4: It’s perfect for breakfast, snack or even dessert! Top it with a little cream cheese if you like. Baker’s Tip #5: You can add 1 cup of chocolate chips to this recipe for a sweeter version. Baker’s Tip #6: Swap out the flour for your favorite Gluten Free flour and you will never tell the difference! 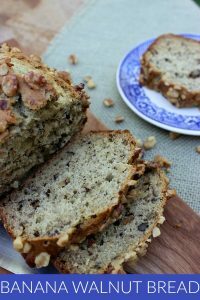 Banana Bread freezes great, so anytime you have extra bananas that are going bad, whip up a batch or two of this Banana Bread with walnuts and freeze a batch for later. It also makes great gifts! 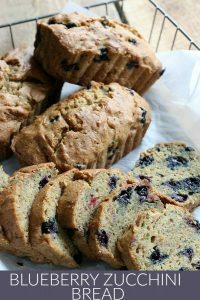 Who doesn’t love receiving a basket filled with baked bread (zucchini and cranberry breads are favorites) maybe some homemade freezer jam or strawberry glaze? It would make a great Christmas gift, but also perfect for new moms, teachers, neighbors or even the UPS driver! 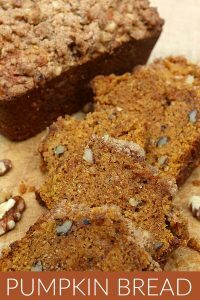 Looking for more easy Quick Bread Recipes? Click on the photo for the recipe! 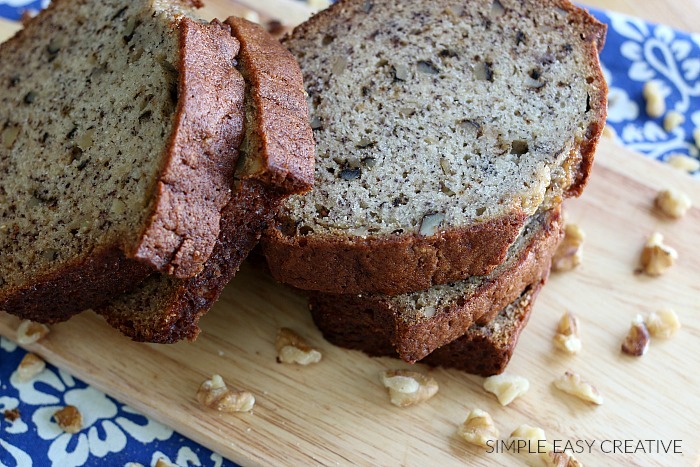 Moist banana bread packed with flavor! Enjoy for breakfast, snack or dessert. I doubled this because I had quite of bit of bananas. It was VERY good! I made this banana bread this afternoon and we came home after dinner and everyone tried it. It was so delicious. I didn’t change anything except for adding 1 teaspoon of cinnamon. And I added some walnuts to the top of the loaf for extra crunch. Everyone loved it. Great recipe! LOVE! I made this recipe this morning but put it in the kids donut hole maker! YUM! 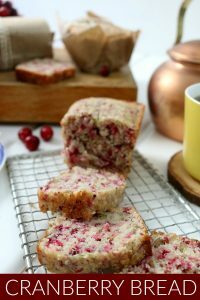 Hi Jeanna, to freeze quick bread, it will depend on what you have available. If you have a freezer safe system like FoodSaver you can use that. If not, then wrap the bread tightly, after it cools, in plastic wrap, then place in a freezer safe bag. Be sure to date it so you know how long it’s been in the freezer. I added Nutella to my latest batch. It’s so good. This is a lot like the banana bread I make, only mine has a little yogurt. .-= Brenda´s last blog ..Peanut Butter-Flax Cookies =-. @Brenda, I bet adding yogurt makes it super moist. Thanks for the tip Brenda! Try it I’m sure you’ll love it. .-= Amy @ Positively Splendid´s last blog ..Beguiling blossoms (a metal flower tutorial) =-. i wish i could have a slice right now… looks so delish. hope to participate in next week’s cupcake hop… will get my ducks in a row. (-: thanks for visiting yesterday! @malia, I’m so glad you like it! I hope you can join us for Cupcake Tuesday next week.